Another day another challenge to share! Today I am sharing the October Challenge from Show Us Your Stuff. 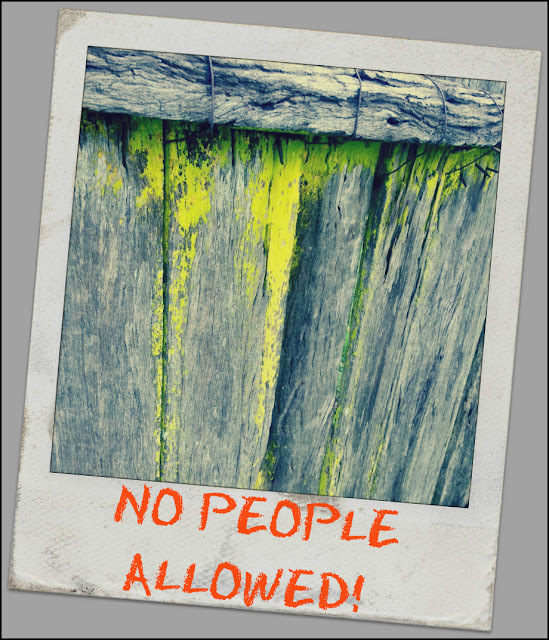 No people, easy enough and of course to include some kind of hand made embellishment. I decided to use some cute photos of our cat Pepper, who seems to love the bath! My hand made embellishments are a heart pin and vellum bow from my new Rainbow Spelendour stash and a book print circle from Charms Creations. A close up of some of circle and vellum bow. 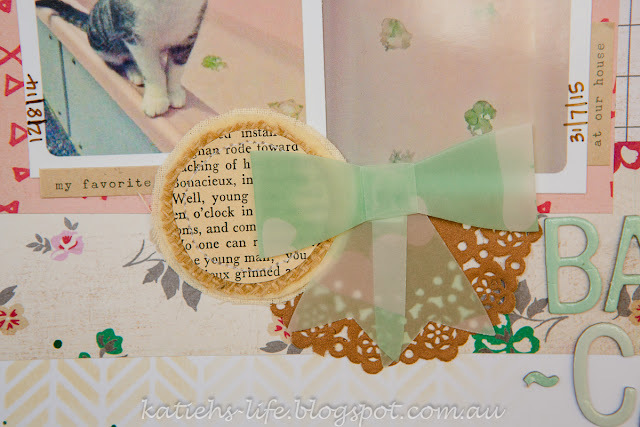 I love that the bow perfectly ties in that soft green. And isn't this heart pin the cutest? The paper is from Dear Lizzy's new Documentary collection and so is the little ticket! Such a cute embellishment. 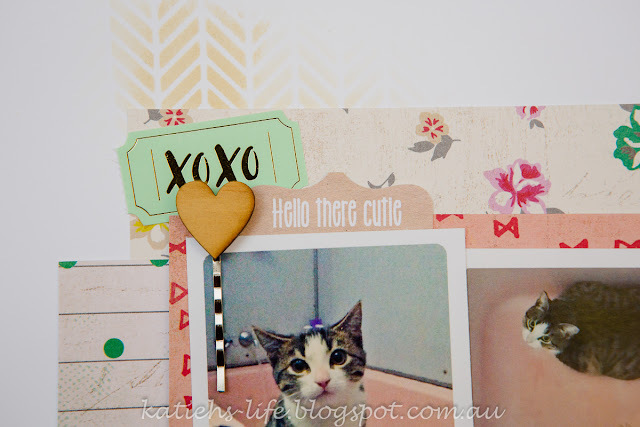 Absolutely adorable layout Katie, how funny is your cat. I love the Rainbow Splendour embellishments, and of course the bookpage "O". Thanks for joining us at SUYS. I just love this page :) love the soft colours and that awesome stencilling! thanks for playing along at SUYS!